Last week I received an email from FDIC. Of course, I knew that it was fake. FDIC does not email anyone. If you ever receive a phone call or email from Federal Deposit Insurance Corporation – commonly known as FDIC, be aware that it is fake. Anyone calling you as someone from FDIC, don’t believe it. Ignore the call. If you receive an email from FDIC with a link to a website, don’t click on the link. If you did, an executable program (with the suffix .exe) gets executed on your computer. If you have stored any personal information for your bank or another such financial institution, it will pick up that info and upload it to their website without you even knowing it. In daily tech jargon, this kind of program is known as “Trojan horse.” It may do two things on your computer. These two types of information is most often transmitted to other crooks and schmucks of the world. No matter how much some folks are warned and no matter how much we are careful, many fall victims to the identity theft. So better be safe now than be sorry in a big way later. Under no circumstances should you provide your personal information especially social security number and any financial account details over the phone or via email. Whenever you receive a call or email, use your favorite search engine to find out their phone number and call them about why you were contacted. Keep your passwords, PINs and other account-accessing details or codes in a safe place – better yet, memorize them if you can. Never write that information on credit or debit cards or carry it in a wallet or purse. When you receive your bank account statement or credit card bill, examine it thoroughly and report any discrepancy to the respective statement sender. 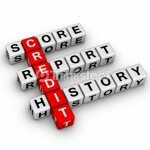 To make sure your credit report does not have discrepancies, get your free annual credit report now. Remember the con artist goal is to get you in a heightened emotional state of mind. The cons call it ether state of mind. Once they get you in that state, you are bound to fall for their scheme. You can outsmart them by not responding. 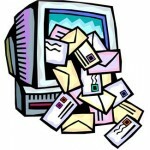 Remember hackers and scam artists have the most up-to-date technology available to them. With their smartness and persistence marketing, they are bound to win but not if you are extremely careful and just ignore their emails and phone calls. Follow this one simple rule: Never ever decide to buy something at the time you hear a sales pitch even if it’s free. You have to make sure it’s free. Never give your credit card number for something free. Contact your state Bureau of Financial Institutions to report potential fraud. Follow these guidelines and hopefully you would avoid and keep away these schmucks and crooks to get your personal information. Just be extra careful. An article critique is generally a more restricted document with a long relationship with structure and precision.